VB vibrators are the result of long research aimed at achieving a perfect finish in a short time with high efficiency. This is possible thanks to the “axial vibration” which is obtained by placing the vibrating units on the rotation axis of the balls-pieces mass. The treated pieces are shining and without any flaws, both on light alloys and flat surfaces. 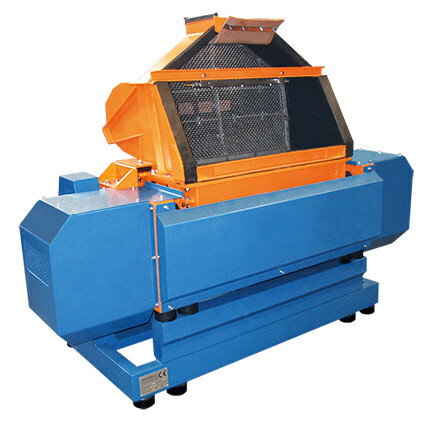 Modern ball burnishing machine with double axial vibration. The axial vibration is obtained by placing the vibrating units on the rotation axis : this enables to get shiny finishing avoiding flaws caused by the contact between pieces. 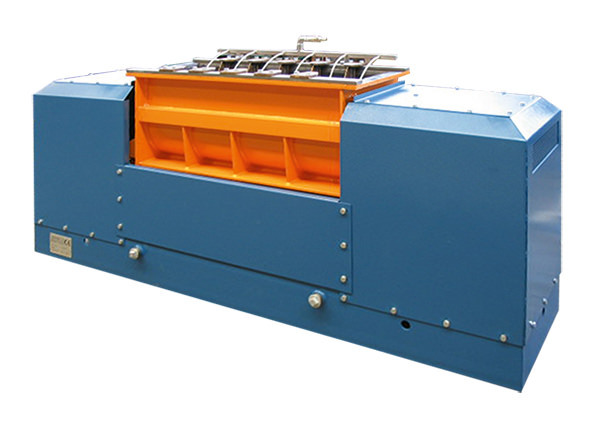 The tilting of the work bowl and sieve through pneumatic or hydraulic cylinders guarantees an automatic separation between pieces and balls, avoiding the leak of balls. 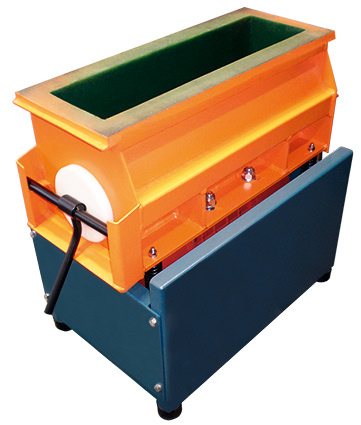 These vibrating machines are an inexpensive and versatile solution for the treatment of small batches of metal pieces. Minox trough vibrators can be equipped either with motors at 1500 RPM for deburring or 3000 RPM for ball burnishing.